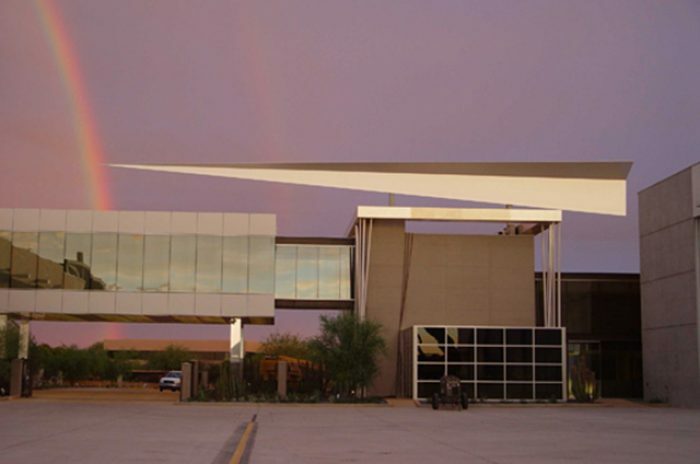 M3 provided structural engineering services for the “paper airplane”, an ornamentation structure for a private hangar located at the Armor Airpark Complex in Scottsdale, Arizona. 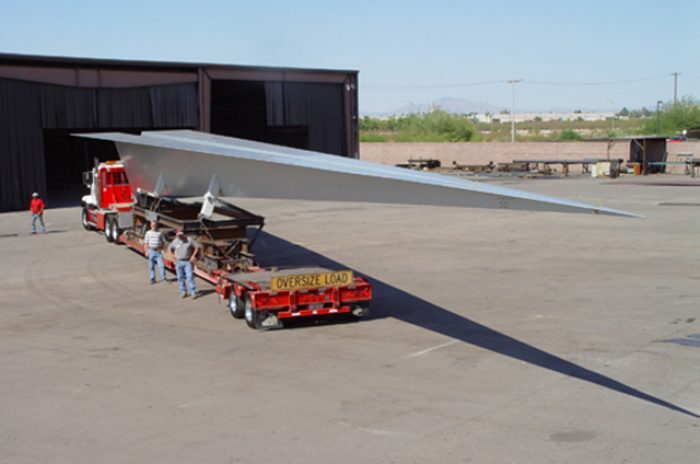 The project, in the form of a paper airplane, consists of aluminum plate “skin” pop riveted to aluminum hat channels connected to steel ribs and supported by a central steel tube “spine.” The “structure is 180 feet long and tapers from a machined aluminum tip to a width of 18 feet at the back end of the plane. 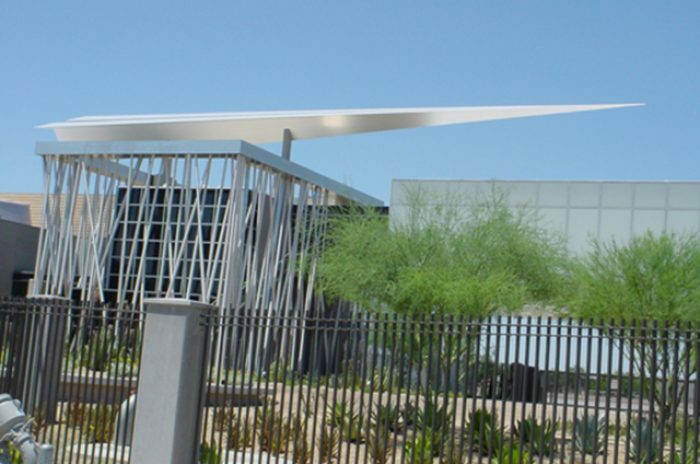 One of the challenges was to allow for different rates of thermal expansion for aluminum and steel. 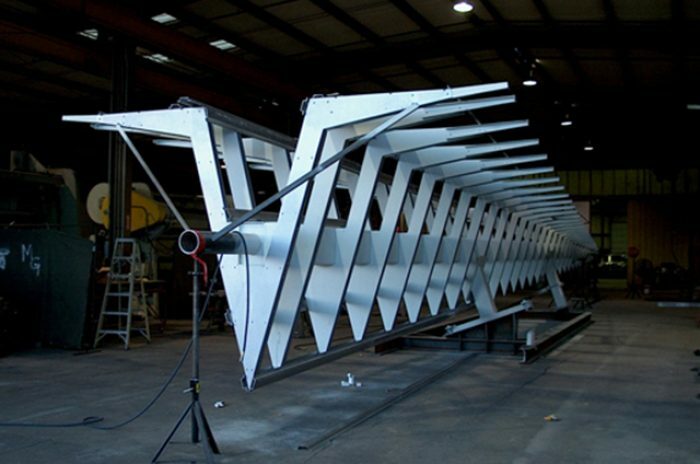 This was solved by attaching aluminum hat channels to the steel ribs using truss head screws with nylon washers in longitudinally slotted holes so that the aluminum skin could expand and contract with the increase or decrease in temperature. 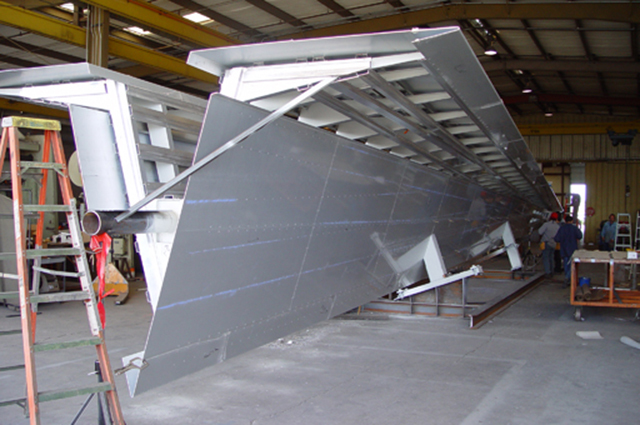 The structure was modeled in a 3D finite element program to determine areas where additional aluminum rivets were required to resist shear and flexural stresses as well as determination of deformations from wind and gravity loads. WE DID M3 provided structural engineering services for the “paper airplane”.